The former leader of Pink Floyd has also blasted the White Helmets, a dubious Syrian volunteer organization which has been accused of staging videos of chemical attacks, as part of the "propaganda war," echoing the dismissive comments he made earlier this year. 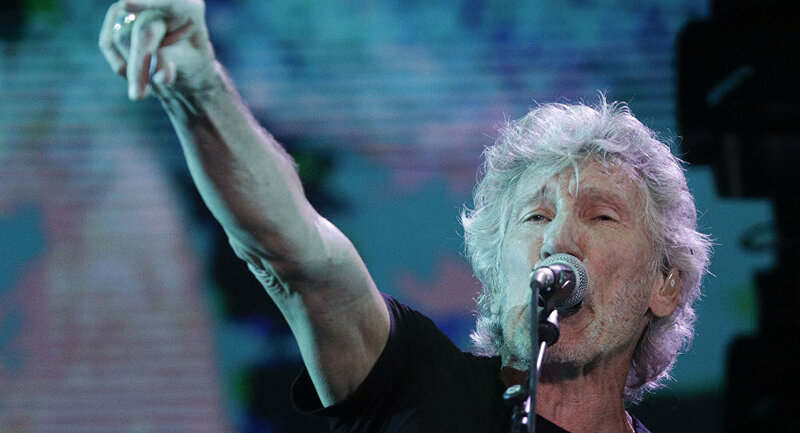 In an interview with the Russian newspaper Izvestiya, former Pink Floyd member Roger Waters dismissed the infamous Skripal case as "nonsense." "That the attack on the Skripals was nonsense is clear to a person with half a brain. But some don't even have one half, that's why they believe in this absurd," he was quoted as saying by the newspaper. The Skripal case unfolded in Salisbury, England in early March, when former Russian intelligence officer Sergei Skripal and his daughter were exposed to a nerve agent known as "Novichok." The UK rushed to accuse Russia of involvement in the attack, which the Kremlin has repeatedly denied. Although no evidence has been provided that Russia was behind the Skripal poisoning, the UK expelled 23 Russian diplomats, prompting Russia take a similar retaliatory measure, shut down the British Council and close the British Consulate in St. Petersburg. Waters also accused White House officials of being behind the Ukrainian crisis. He claimed that Victoria Nuland, spokesperson for the US Department of State in 2011-2013, had organized the crisis. "I don't know how Ukraine is going to find a way out of this situation, but blaming Russia for it is ridiculous." When asked about his opinion on the controversial NGO White Helmets, which reported an alleged chemical attack in Douma in April, Waters called its actions "just an episode of the propaganda war that tries to demonize [Russian President Vladimir] Putin, [Syrian President Bashar] Assad, Iran, and so on." He went on to say that reports from extremist-occupied Aleppo hinted that the White Helmets were militants. Waters, who is known for speaking out on political issues from the stage, denounced the White Helmets as "a fake organization that exists only to create propaganda for the jihadists and terrorists" at a concert in Barcelona on April 13. His comments came shortly after the NGO released footage of an alleged deadly chemical attack on the rebel-held city of Douma carried out by Syrian pro-government forces. According to the Russian Defense Ministry, the video was staged by the White Helmets and the UK. However, on April 15 the US, UK and France launched an air strike on three Syrian sites in response to the suspected attack on Douma, despite the Syrian government's denial of ever using chemical weapons.